For the Memorial Day 2009 I wanted to go fishing, but the weather was uncooperative. 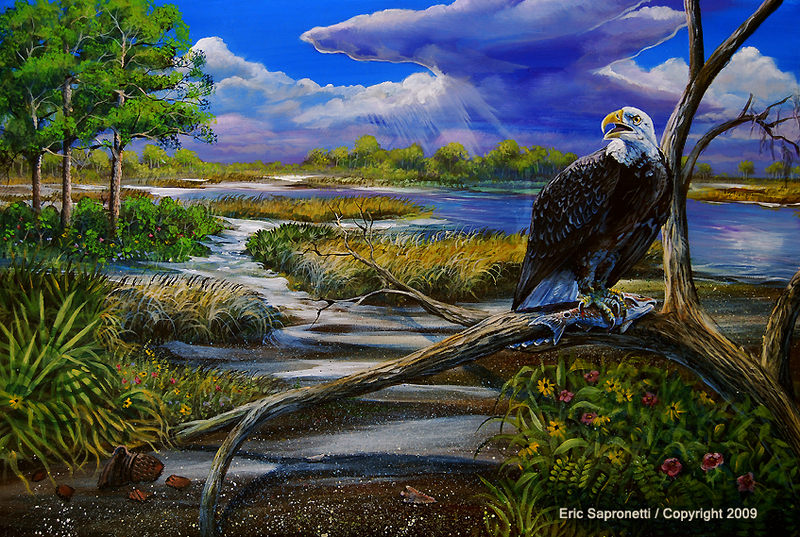 Instead I had fun painting this master of fishing, the Bald Eagle. I even painted a fish in his clutches. This painting was sold at a silent auction to benefit our church's Global Missions project, GIC 2012, but prints are still available for sale.